I took a day off and tossed this together. nice job, looks great. so cute and tiny. Has to be a contender for the worlds smallest oscilloscope. 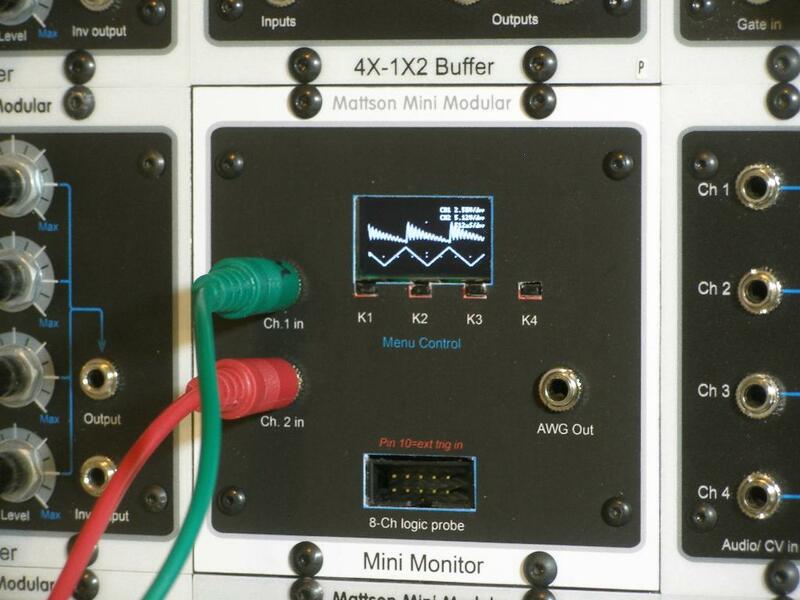 2 channel scope, 8-channel logic probe, FFT spectrum analyzer and frequency counter. It also has XY mode on the scope. The OLED display is amazingly clear at only 1" wide by 0.6" high. It will definitely come in handy for functional checks. Now, people are asking me if I can do it in 5U, Euro, Frac, etc.